‘Hi just wanted to say I imported a rug and neck cover from you earlier this year and love it. My mare has it on for an hour a day. 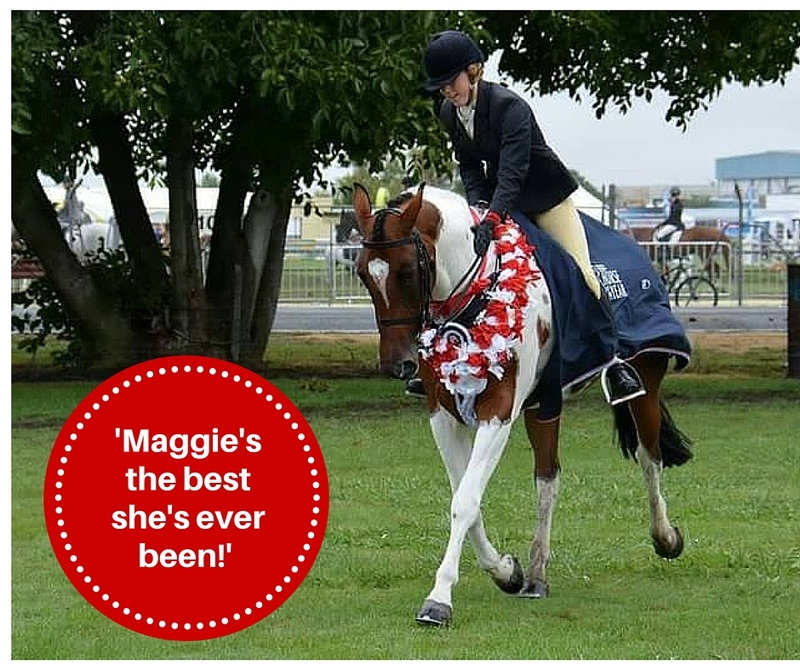 Last week at the New Zealand horse of the year show she came runner up inhand pinto saddle Hunter of the year and took out the ridden pinto saddle Hunter of the year title. I’ve owned Maggie for 3 years. When I bought her she was very grumpy and aggressive at times. I’ve been working with two chiropractors and a massage therapist over the past three years to get her right. In the first year we realised she had a hip displacement and two verbras under the saddles displaced. We had that fixed by one of the chiropractor that works with that sort of thing. She also has had a lot of trouble with her atlas joint. Maggie’s owner Alana purchased the Equine Magnetix rug and neck piece. This entry was posted in Stiffness. Bookmark the permalink.